Children's Day offering us a nice long three day weekend, perfect for a get-a-way down south. Beaches will be opened and this is a great chance to get a start on your summer tan. Location : Namhae island in Gyeongsangnamdo *Map Click!! Children’s Day offering us a nice long three day weekend, perfect for a get-a-way down south. Beaches will be opened and this is a great chance to get a start on your summer tan. The weather is perfect for Sea Kayaking, swimming, cliff jumping and sea rafting and so much more all packed into three day weekend. So sign up now, for this rare opportunity, and check out a bit more of Korea, the culture and traditional customs, without the hassle of doing it yourself. We will leave Friday night to avoid the heavy traffic this time. And we will go sunrise hiking up Geumsan (금산), which is one of the most famous courses because of it’s breathtaking scenery. We will also visit Boriam, which is known as a great cliff to watch the sunrise, but also is home to one of the 3 most holy sites that are believed to answer the prayers of those who pray there. You can stay at silver sand beach(상주해수욕장) instead of hiking to relax. After lunch, we will move to one of the most famous seaside village. Darangee village is a small place that is built on a hill overlooking the south sea. The villagers are really sweet and inviting, and love to share their homes, culture and experiences with us. They will surely make you feel welcome. 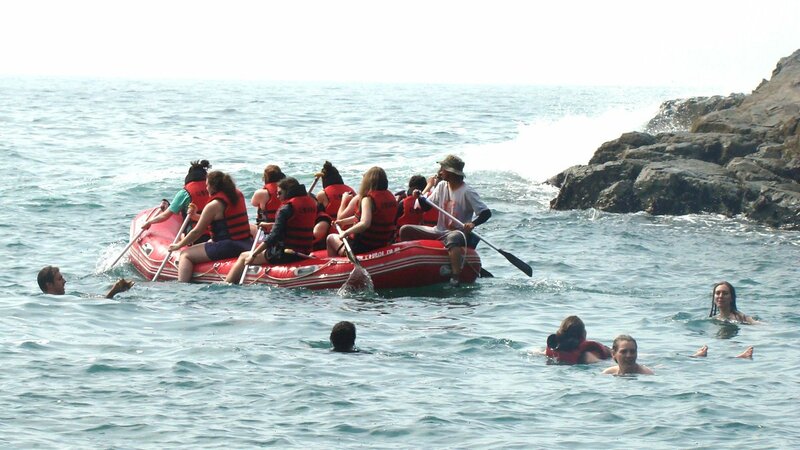 Also because we are so close to the sea, we will have the chance to do water activities like fishing, swimming, snorkeling,cliff jumping, that will be provided for us to take turns in. We might even have the chance to explore the village more and taste some makgeolli (Korean rice wine). 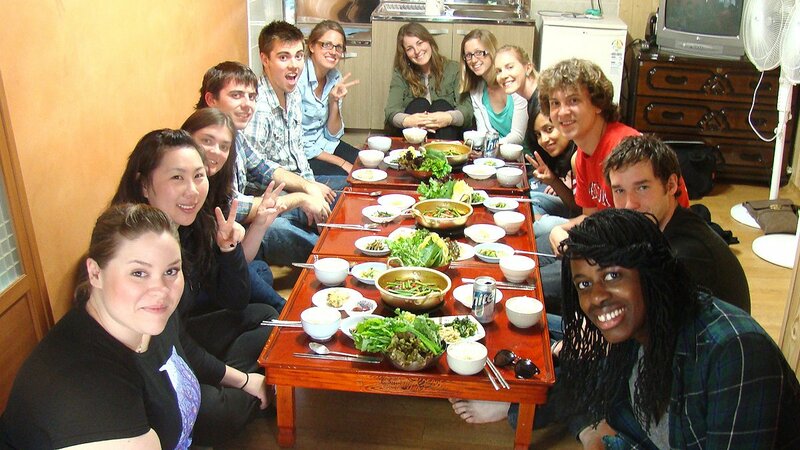 At night we will stay in the homes of the villages, and have real home cooked Korean food. Home cooking is so much better than restaurant food, and you know it’s fresh. The home stay ‘mum’ will do her best to fill you up with her own unique recipes. After dinner we will hang out together outside under the stars and around a huge bonfire. We can join in with some traditional games, music and share a few drinks. we will also prepare roast patatoes for snack. 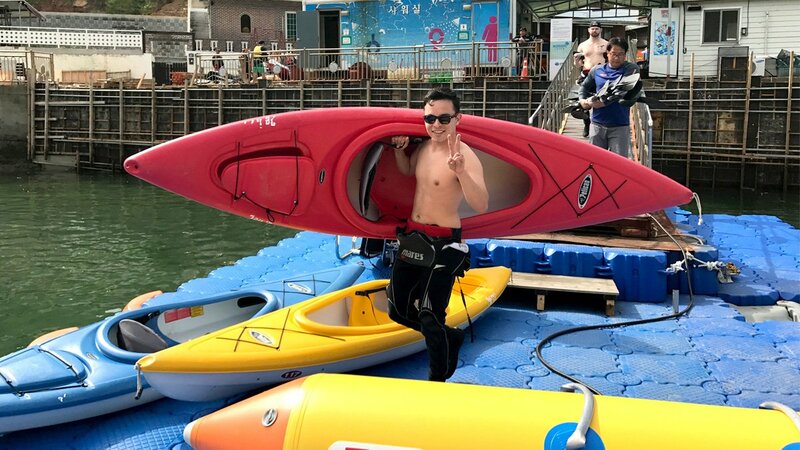 On Sunday after a hearty Korean breakfast, we will move to another, nearby village where you can relax at the gorgeous sand beach and paddle boarding or go kayaking. After lunch we will head out to sea for a bit of deep sea fishing. 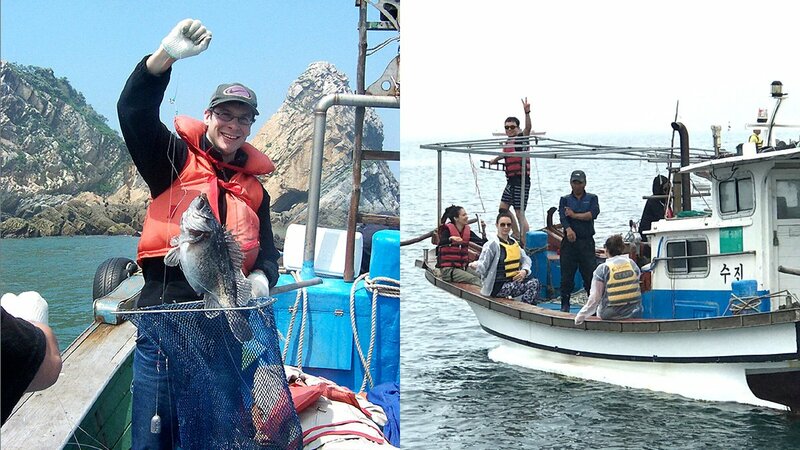 This is a great experience, where we will board one of the local fishing boats and find out what the sea has to offer. On the last day, after breakfast, we will go sea kayaking and snorkeling. This is a great opportunity for anyone who likes kayaking, but also good for beginners. We will be given some kayaking lessons before we hit the water to cover the basics like getting in and out safely as we will be in the sea. Also we will be with local guides who will do their best to keep us safe, while letting us explore and have fun as well. The water in this area is so clear that you will feel like you are in a tropical paradise. We will also provide snorkeling gear. After our morning splash we will have lunch together, then sadly hit the road and head back home. This trip offers you a wonderful chance to learn a bit about village life through fishing, as well as giving you 3 days of water activities and hiking. So sign up and join us for this fantastic Namhae island adventures. *Please mail to webmaster@adventurekorea.com if you want to be picked up here! – Go to the beach for swimming,snorkeling,cliff diving or fishing. Lunch together and free time. 2. The accommodation allows for 3-5 people per room and we have many different size rooms, so please let us know your group size when you sign up. 15 days before the trip: you will get full refund.